Carrie Grant is a professional photographer and filmmaker who has lived on California’s North Coast since 1978, and co-owned and managed The Eifert Gallery in Ferndale for 14 years. Carrie’s successful community organizing, fundraising and volunteering have been used in the permanent protection of more than 14,000 acres of land on the North Coast. Carrie was a founder and has served on the Board of Directors of the North Coast Regional Land Trust. She currently serves as Trustee and administrator to the Ingrid Nickelsen Trust, formed from the estate of the painter, Ingrid Nickelsen for the purpose of providing annual grants to women artists in Humboldt County. Carrie has performed as a graphics designer, administrator and grant writer for organizations dedicated to the preservation of arts and the environment, and has worked as an event and professional organizer and archivist for various Humboldt County artists and organizations. 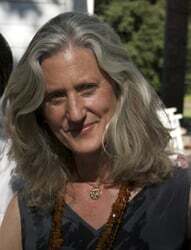 As a filmmaker, she directed and produced the feature-length documentary “One More Line” about Ferndale artist, Jack Mays. Her other credits include projects for BBC and Discovery TV for whom she produced time-lapse photography for Discovery Education’s program “Science of Plants” in a 6-episode series designed to educate elementary school children about the importance of and our dependence upon plants. With this project Carrie was able to combine her photography and administrative skills with her passion for plants and reverence for nature. Carrie’s influence for the scope of her work come from four key, interrelated sources: her multi-decade residency in Humboldt County; her deep love, familiarity and conviction to preserving the remaining wildlands of the North Coast; her integration with and support of the arts community; and her professional photography career of documenting land and people.